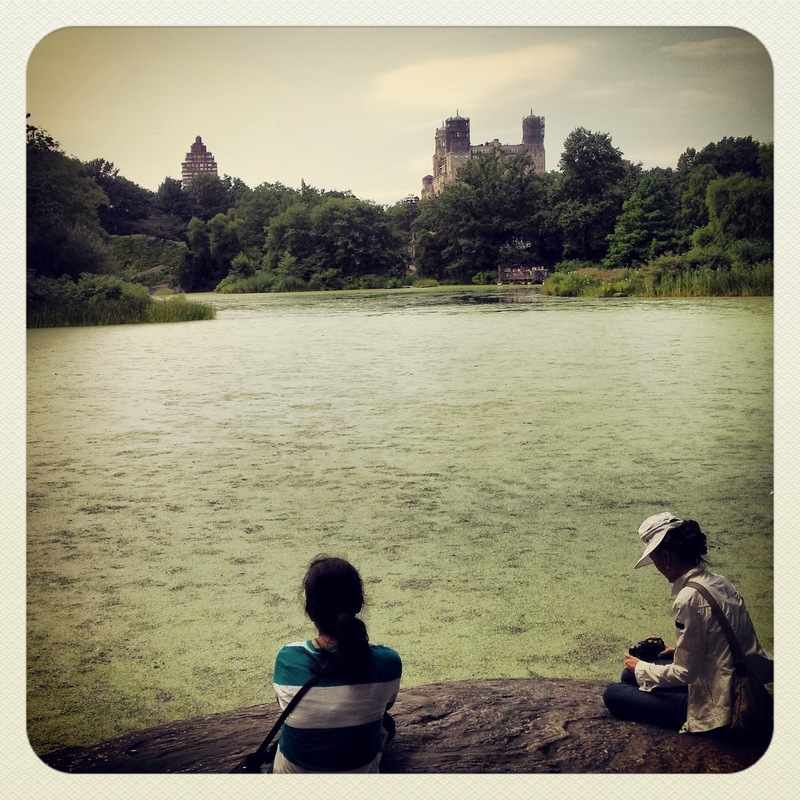 Going to Central Park is not simply like walking through a city park. It's actually more like stepping into some kind of parallel world: one moment you are in middle of Manhattan's skyscrapers and traffic, and the moment after you are surrounded by this green little big universe with its own soul and personality. 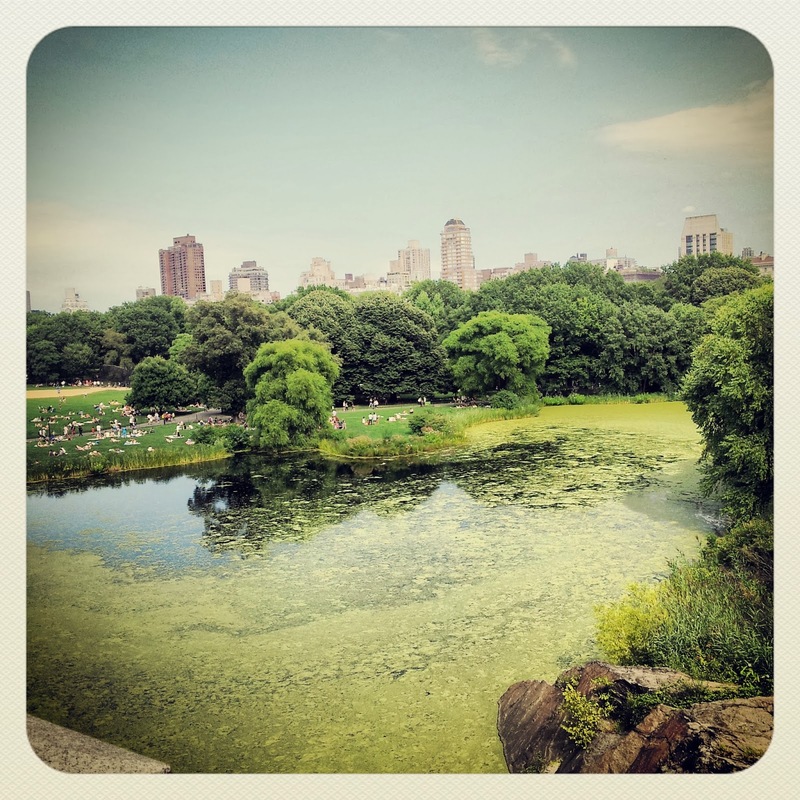 It is indeed the green lung of NYC, because it's so big that it could surely work fine even for such a huge metropolis like the Big Apple - and it surely provides also a metaphorical chance to breathe, to take a break from the syncopate rhytms that rule outside of it. It's like an oasis. And I know this is something that could be said for almost every city park in the world, but here this contrast is even more sharp and evident. And I guess it's the only city park in the world where you get the impression you are actually strolling through a cinema museum. The list of movies that have been shot here is so long that there are even web sites and specialized tours about them. I obviously remembered about the most famous ones (such as "When Harry meets Sally" or "Autumn in New York"), but the more I was walking along, the more I was seeing corners and spots which were like a déja-vu: I won't be able to tell exactly from which movies I recall which places, altough Tabby Cat & me have tried doing some efforts about it - but it's some kind of photographic impressions I have etched upon my memory. So it really felt like being in a movie. And we even witnessed the shooting of one. Not sure it actually was a movie we are going to see in cinemas worldwide - it seemed more like of an exercize of some Art Academy students; but still it's been interesting to see. There is really a lot to see and experience. It's kinda like touring a small (green) city apart. We spent almost a whole day inside it, and still there is quite a big part we missed. This lake is able to transmit such a sense of peace. It's been one of the first points we've seen of the parks, and it's here that I've sensed for the first time that very strong feeling that the Park is a world apart, as I've mentioned above. You are surrounded just by water and greenery, but yet there are skyscrapers mirroring themselves in it and making a pretty much impressive contrast that syntetize the spirit of Central Park: it's a place apart, but it still is embedded in NYC, and the proof is those skyscrapers peeking inside, surrounding it like a crown, like a regal symbol of the City that rules over it. I have a thing for ponds and still waters - they have something gloomy that I find charming in an odd way. This one has not been named this way just because turtles are cute, but because they actually live inside the pond. You have to stare at it with attention, because it's all green - but you will be able to spot their heads peeking out every now and then. Turtle Pond was one of my favourite spots of the Park, because the area around it has probably been the one where we have happened to do the most funny encounters. Not only turtles, but two armies of roleplayers fighting, a former king of Poland on his horse, a jazz band happily playing under a tree and a large group of elderly people dancing sirtaki. 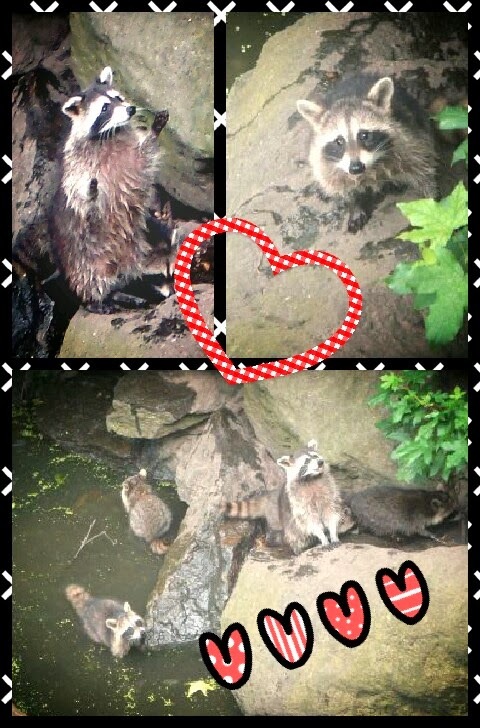 This is what makes the little big world of Central Park so special: its great and different inhabitants!! Since the Park is a world apart, it might probably have its own king as well. I don't know whom he can be, but I've visited his castle. Belvedere is a miniature castle, but it provides a pretty view of the Pond and Great Lawn (just like its name suggests - it means "beautiful view" in Italian). And from there you can also dip yourself in the tiny forest that surrounds it: the Park gets so luscious in this area, and for a while you can get the impression you are hiking through the woods and not in the chest of the most metropolitan city in the world. Actually I must say that it's been a bit disappointing to read on Lonely Planet that the Park is mostly artificial. 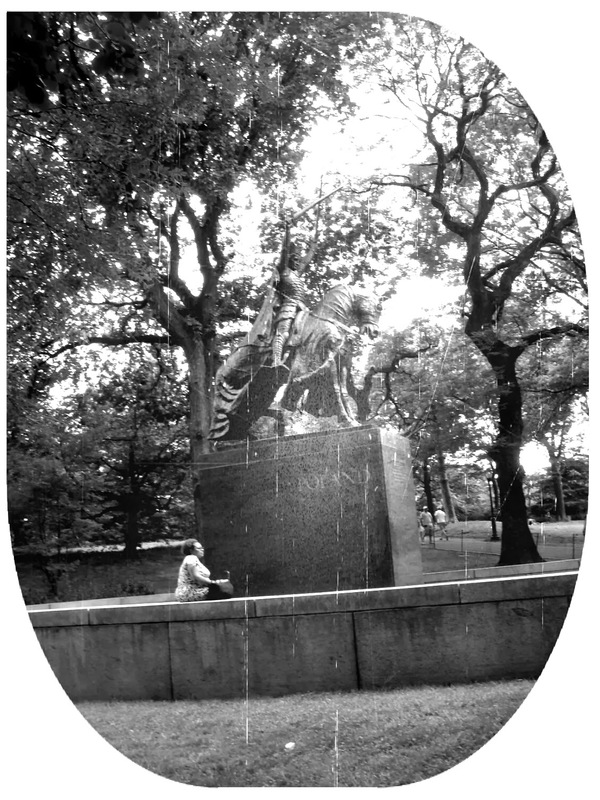 This part is its wild heart, and it would really make you suppose it is showing you the original looks of Manhattan, how it was before cement took the hold of it - and instead Central Park is actually the result of a long and carefully planned work of green architecture and drainage. But still - what counts is that anyway it is beautiful and refreshing just like a "natural" wood. Alice is my favourite fairytale, and it's also the first book ever I've read in my life, when I was 8 - so I couldn't miss to pay her a visit. 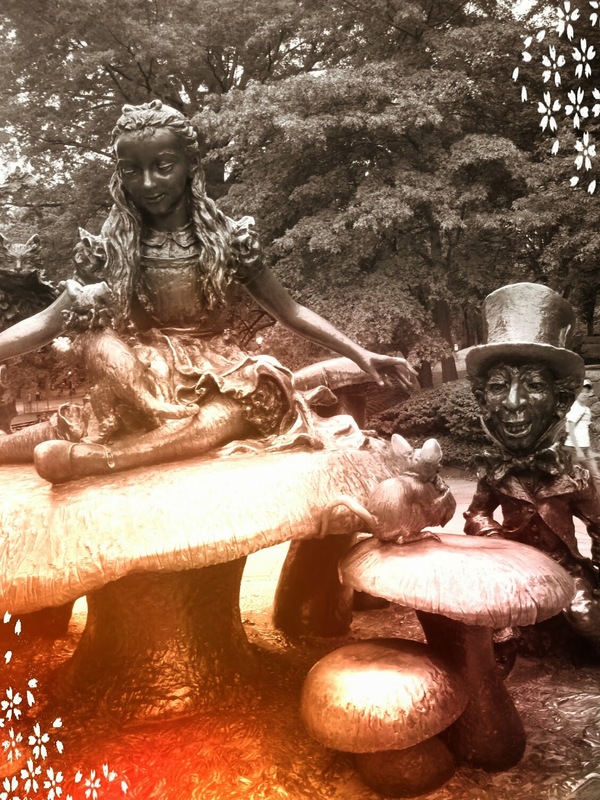 Alice is represented together with the Mad Hatter, the White Rabbit, the dormeuse and her cat - and the statue is (obviously) really popular among children, I guess not only because of the subject, but also because it is really funny to climb. 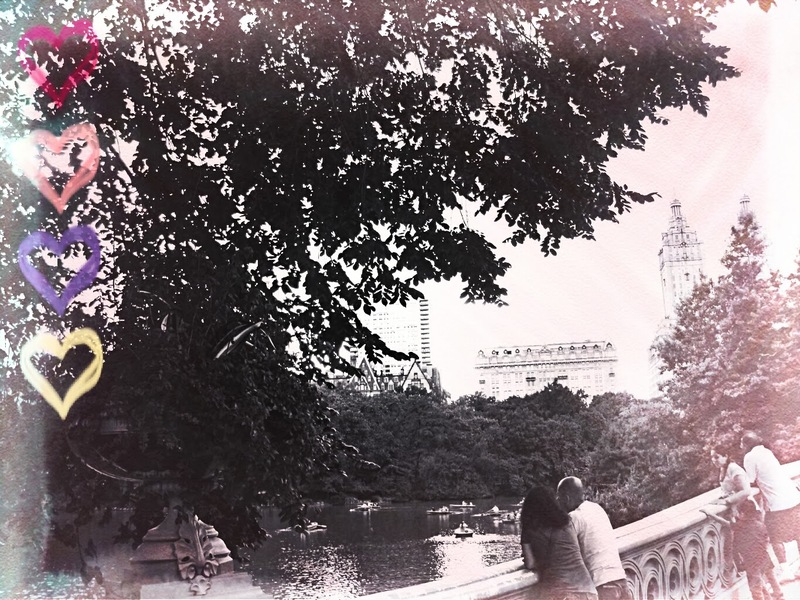 French writer Katherine Pancol has written a lovely book set among Paris, London and NYC whose title claims that "The squirrels of Central Park are sad on Mondays". Might it be because we've been there on Sunday, but we actually met only happy squirrells, chubby and pampered by tourists with peanuts and cookies. We totally went "Awww" on them. Don't worry we are friendly cats - we weren't running after them in order to chase them, but just to take pictures. 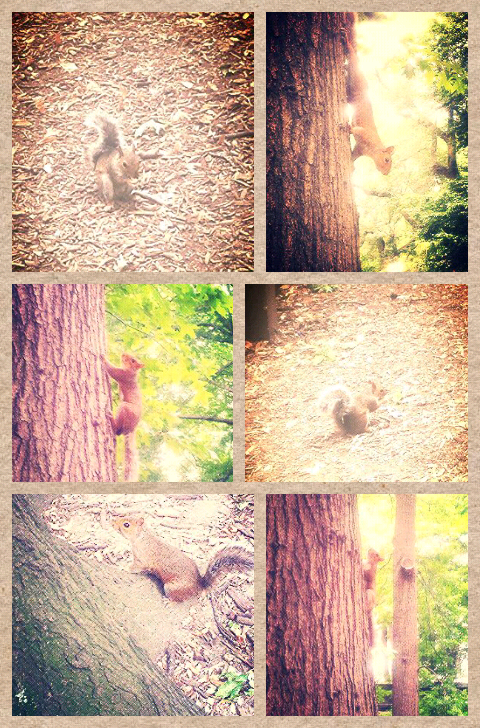 I have the hugest photoshoot ever of Central Park squirrels now! For us Italians it is already a big surprise to find squirrels in a city park, because we basically don't have any (we basically don't even have clean, decent city parks, come to that - or at least they are a rarity). So you can imagine our big surprise when we spotted a whole family of cute racoons living freely over a torrent heading towards the Lake and begging for food! Hernshead is a promontory by the Lake, with a lovely little wooden gazebo where I would actually spend hours reading a book like the lady we met, and a beautiful, special view on the skyscrapers that peek over the Park - providing once again an interesting contrast between nature around & the City. 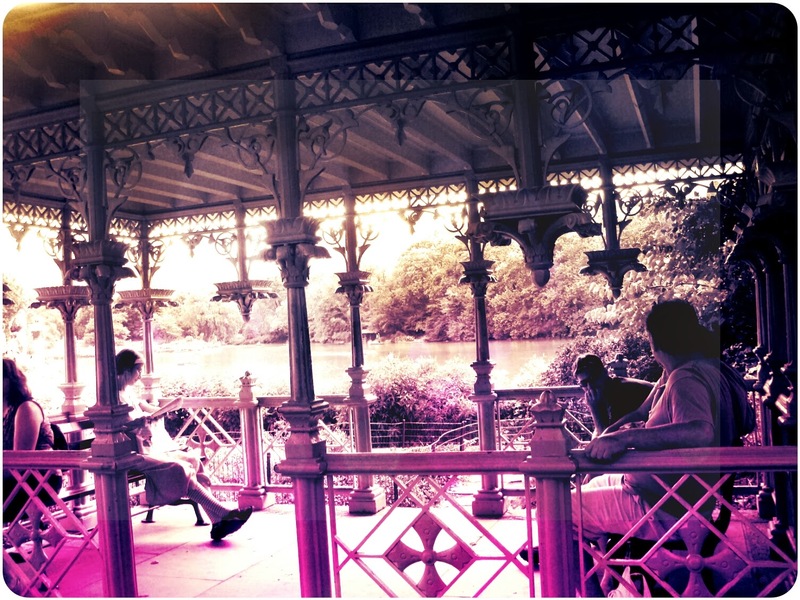 This is the most iconic spot of the Park - not only because it probably is the cutest, with the iron Bow Bridge, the boats and Cherry Hill besides, but also because (and maybe therefore) it is the most used as a movie set. Thinking about all the romantic scenes that have taken place here is enough to make you daydream - and feel a bit like you were in a movie yourself. The reflective pool of Conservatory Water, with its remote controlled model sailing boats that you can rent, is also pretty much famous from a cinematographic point of view, thanks to the somehow epic escape scene in the Stuart Little movie - and to a romantic scene about two people making their model boats collide before falling in love that Tabby Cat remembered but couldn't associate to the movie's title. s well: it's 11 $ for 30' and you might either help an heroical little mouse to run away from bad guys, or find the love of your life! 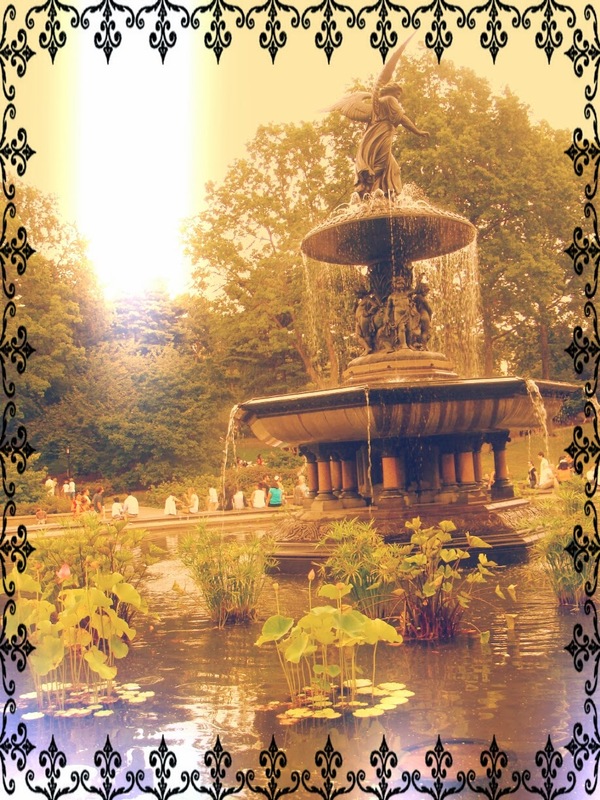 I've loved this fountain, with its waterlilies and its Angel of Waters statue overlooking the Lake. 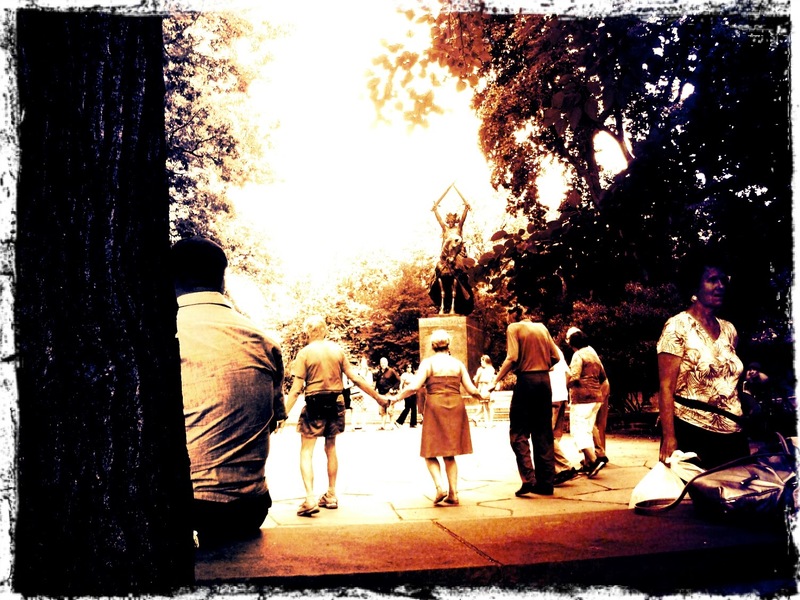 So, well, it's been interesting to find in NYC a sort of complementary/twin statue to one that is very familiar to me. But Central Park has still many other interesting spots to see. Our wander inside it took almost a whole day but there would have still been a lot of other things worth to be seen. 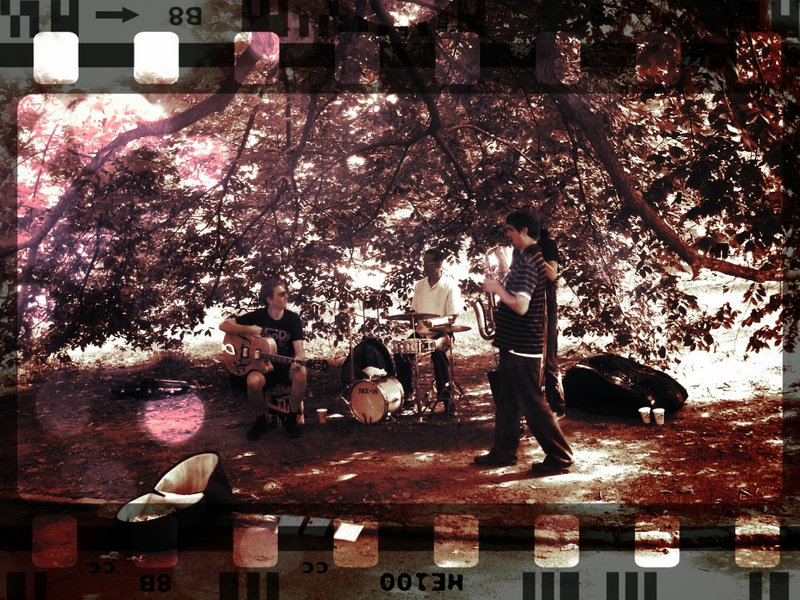 Among the many movies set in Central Park "Incredibly Loud and Extremely Close" is our favourite one. I always team for the introvert and lonely kids, because I was one of them once ago and because I think they often have a special sensitiveness. Oscar is definitely one of them, and the scene on this swing, when he realizes what a important and precious last gift his dad has given him, and finally accepts that even if his father is no longer by his side he will always be in his heart, is so touching and deep. We so wanted to find this swings - but we didn't succeed. We are not even sure they do actually exist... but if they do, our mission is to find them, sooner or later!! 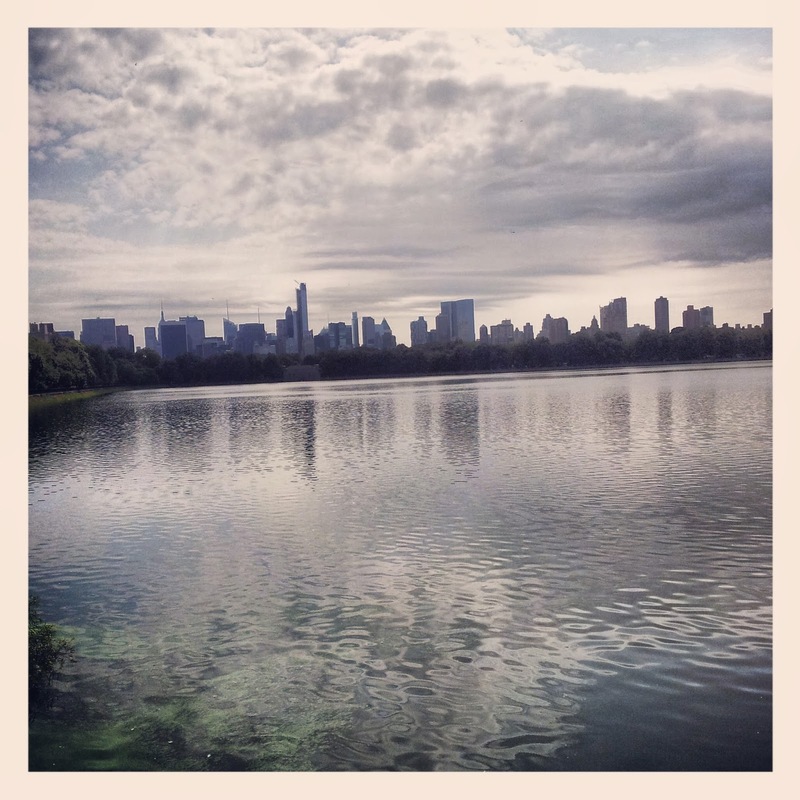 Great roundup of Central Park. 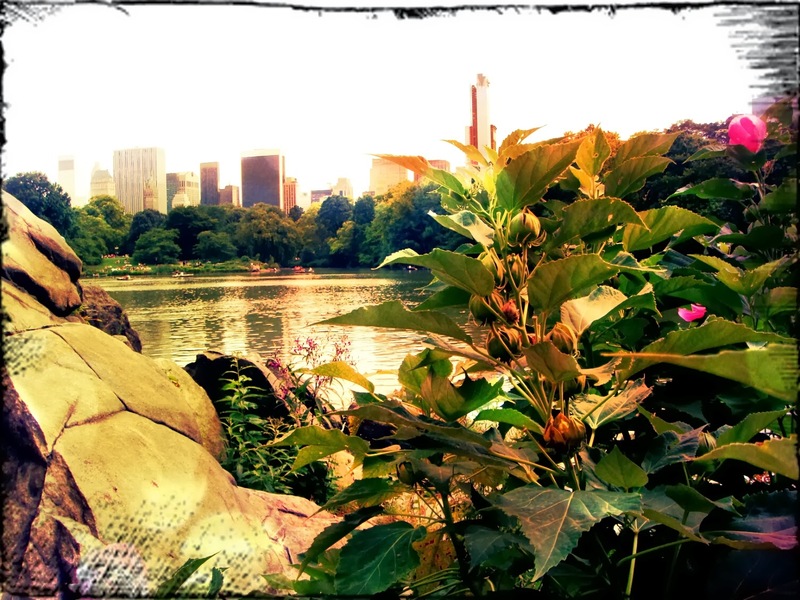 I love Central Park and how you can escape the city for a little bit of green fun. There is so much to do! 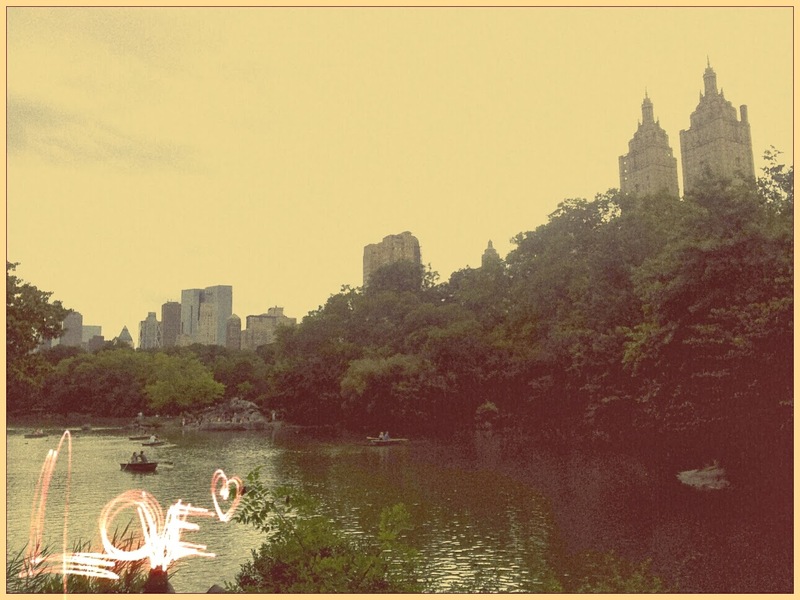 I love central park! 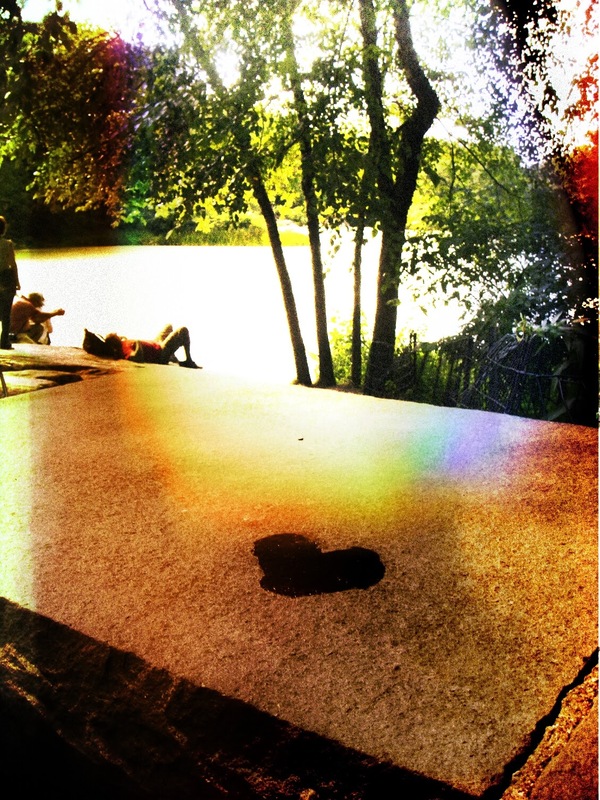 I have spent hours just relaxing by the lake. 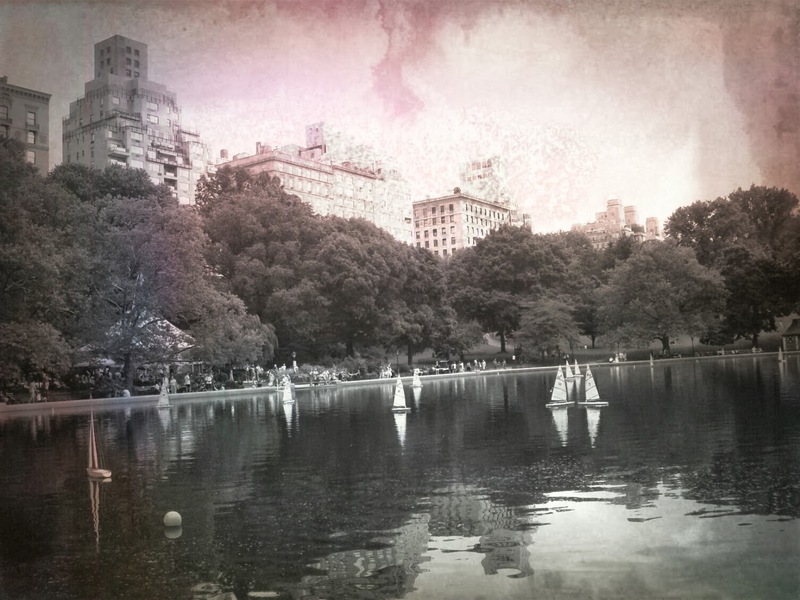 I would love to visit Central Park in any season but winter. When we were there, there were almost no leaves on the trees and we could see right through the park... so it looked pretty small in fact.